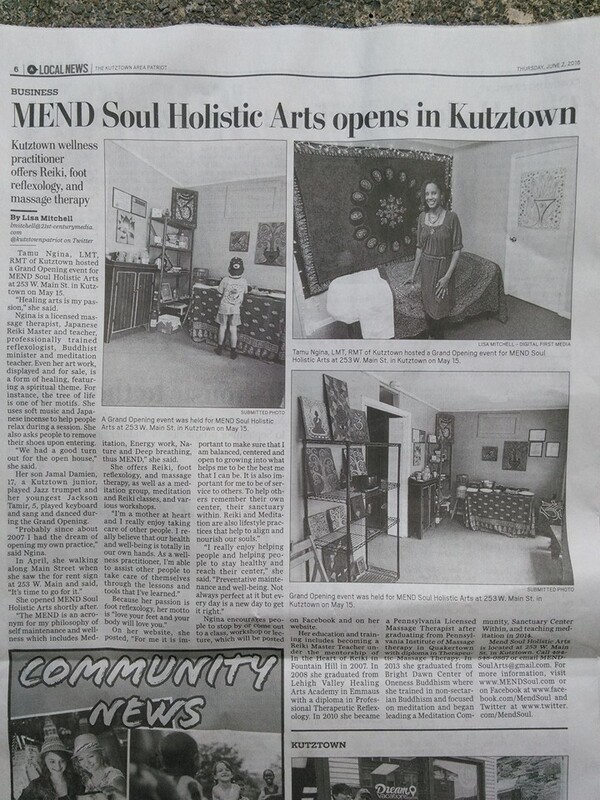 It is absolutely amazing and wonderful to celebrate one full year of being open at 253 W. Main St., Kutztown and offering my professional services to Berks County. A massive thank you to everyone who has trusted my skills enough to come back for more and to spread by word of mouth to their family and friends. My motto is, "Love your feet & your body will love you!" As an educated and licensed massage professional as well as a trained professional Reflexologist I have offered my services to so many diverse people with diverse health issues. One common thread through all of my clients is they greatly appreciate how relaxed, blissful and less pained they feel after their sessions. I am humbled. And I am grateful. Thank you!